In a detailed and penetrating analysis - the first of two parts - political theorist Andrew Robinson looks at the work of the Italian philosopher Giorgio Agamben, who posits that states are inseparable from concentration camps, building their sovereignty on a rejection of the value of human life. Giorgio Agamben’s work, drawing on post-Deleuzian continental philosophy and the aftermath of autonomia, has ripped through the world of philosophy like a hurricane. His theory is at once timely and provocative. It is also highly resonant with anti-authoritarian forms of political activism. While Agamben’s work is extremely theoretically dense, the conclusions it reaches are at once frightening and inspiring. 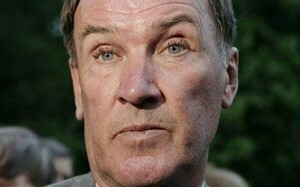 States are inseparable from the creation of concentration camps in which people are treated as if they have no value. Worse, the camp is escaping its walls, taking over all of social life. States can’t exist without the conditions which produce the camp, and therefore, the only way to get rid of concentration camps is to get rid of the state. But how does Agamben reach these conclusions? Agamben’s theory of the state is constructed as an ontological theory of sovereignty. ‘Ontology’ is the philosophical study of the nature of being, reality and existence as such, and Agamben (along with Deleuze and Badiou) is controversial in reviving it following its widespread rejection as a justification for conformity by earlier poststructuralist authors. The problem of sovereignty is ontological because it relates closely to the question of life, and also because it is central to what the state is; it is not contingent on specific aspects of state discourse. Since the problem of sovereignty, and the corresponding problem of the camp, are ontological, the solutions also have to be ontological: a rejection of the state’s way of being, and the establishment of a completely different way of being (the possibility and conditions for which also need to be deduced from ontology, and especially, from the nature of life). Agamben’s account treats sovereignty as a primary or original aspect of social life, not a secondary or derivative aspect. Agamben rejects the Marxist view of the state as superstructure, and does not see power as mystified. Rather, state sovereignty operates directly on life, reshaping it according to the state’s perspective or way of seeing. According to Agamben, sovereignty provides a basic matrix from which all the different kinds of state sovereignty can be derived. Agamben’s discussions thus wander between ancient states such as the Roman Empire, histories of monarchic and democratic regimes, and observations on current events. Agamben seeks to show both that sovereignty (in his special sense of the term) exists in all states through time, and that it is a cumulative process, something which in a sense is getting worse. The existence of sovereignty is something which Agamben seeks to demonstrate in his writings. It can be understood through the history of forms of sovereignty and of legal concepts, and also through critically interpreting authoritarian pro-state theorists such as Thomas Hobbes and Carl Schmitt. Agamben is thus arguing that the nature of state sovereignty can be deduced from the way that statists think, which in turn can be inferred from their writings. In this sense, despite his return to ontology, Agamben is not a world away from poststructuralists and other discourse analysts. Agamben defines sovereignty mainly in terms of exclusion or exception. Sovereignty is constitutive of the state and of statist politics, because it constitutes the political body by deciding who is to be incorporated into it. This decision is grounded on a fundamental exclusion of what is to remain outside. Sovereignty is more basic to the state than law, because it is the sovereign who decides where and whether law applies. In Benjamin’s terms, sovereignty employs ‘law-creating violence’ which underpins the later enforcement of laws. This kind of approach puts Agamben a long way from the idea that politics involves people forming some kind of mutually respectful social system to eliminate vulnerability. For Agamben, politics is instead grounded on rendering people vulnerable and abject, on subjection to a power so total that it can command life and death. The state is authoritarian command and submission to such command; it is not mutual recognition, equality, or reciprocity. It imposes vulnerability as a condition of participation in public or political life. An example of this is the way states seek to legislate visibility and vulnerability, banning protesters from wearing masks, wearing body armour and so on – in effect, commanding people to be vulnerable to persecution. Sovereignty involves a particular kind of relationship to biological human life. In particular, sovereignty divides life into two kinds, known in Greek as bios and zoe. These can roughly be rendered as simple physical life, often termed ‘bare life’ by Agamben (translated from the Italian vita nuda, or naked life), and ‘qualified’, particular, or politically-recognised life, which is not ‘bare’ because it is adorned with forms of meaning derived from political recognition and representation. In the state’s view, the transition from bare life to politically recognised life involves turning bare and valueless life into valuable or ‘good’ life. We might think of this as the difference between being a human bodily organism, and being recognised as a citizen, a moral person, or ‘human’ in a moral sense. A concentration camp inmate, a person designated to be killed under a forced ‘euthanasia’ regime, and a detainee at Guantanamo Bay, are all examples of people who have the first kind of life but not the second. They have ‘bare life’, but they are not recognised as having ethically significant life. They are people who can be tortured and killed without the usual implications – without their deaths being viewed on the same level as a murder. Bare life is also the ‘animality’ of humans, the point at which human and animal life becomes indistinguishable. According to Agamben, the distinction between bare life and recognised life arises from sovereignty, and it is primarily a distinction made by the state. The state divides people up into those who are politically recognised as fully human, and those with the lesser status of ‘bare life’. Crucially, the status of being more than ‘bare life’ is something the state claims an entitlement to give and take away at will. This is done by declaring the ‘exception’, which means declaring someone to only have bare life and not politically-recognised life. In his most famous work, Homo Sacer, Agamben argues for the importance of the figure of homo sacer as the point at which bare life is concentrated. “Homo” means human/man, and “sacer” has the double meaning of “sacred” and “taboo”. Homo sacer is defined as someone who can be killed, but not sacrificed. They can’t be sacrificed to the gods because they’re defined as outside the recognised terrain of valued life (there’s nothing left in them worth sacrificing; to sacrifice them would be sacrilege), but for the same reason, they can be killed with impunity. This category existed in law in some ancient and medieval societies, especially those based on Ancient Rome. In Britain, the closest parallel was the ‘outlaw’, who could legally be killed without the killer being guilty of murder. Such a person is included in the legal order solely through their exclusion, i.e. they are included as someone defined as excluded. They are thus the mirror image of the sovereign who is both within the law as an individual person, and outside it in being able to declare a state of emergency. They also express the excess of life over its inscription in sovereignty, the fact that there is always more to life than is expressed in law or politics. It is unavoidable because the performative category of the human is suspended between nature and society, and always contains something more than its political representation. It also brings a particular kind of religious meaning into sovereignty, a meaning which has formerly been repressed or forgotten. Homo sacer exists on the boundaries between political and religious law. The danger of being declared homo sacer is built into the experience of life in societies ruled by states. For Agamben, the ability to declare someone homo sacer is fundamental to the sovereignty claimed by states. This is shown in the historic concept of the ‘ban’. The term ‘ban’ refers both to the sovereign’s standard (the banner or flag) and to the act of outlawing someone (origin of English ‘ban’, ‘banish’ and ‘bandit’). This shows the deep connection between sovereignty and homo sacer. This kind of practice was supposed to be stopped in modern liberalism, with ideas such as due process and habeas corpus, but Agamben views it as a permanent aspect of sovereignty which keeps returning and which is becoming increasingly central today, in the emergence of states of exception such as camps. It is also clear in a certain populist discourse often found in the tabloid press and among the more bigoted politicians, in which various people deemed ‘monsters’, ‘animals’, ‘scum’ and so on are taken not to deserve human or civil rights. For instance, the former Tory MP Andrew Mackay said in parliament that gypsies who camp in car parks are ‘scum’ who ‘do not deserve the same human rights as my decent constituents’. (His own expense fiddling being, presumably, a different matter). Such cases are for Agamben evidence of the spread of the logic of sovereignty, which was never really eliminated to begin with. In any state regime, everyone is vulnerable, at risk of being declared homo sacer. In the case of democratic discourse, this does not change; at most, it just means that, while everyone is potentially vulnerable, everyone is also potentially a sovereign, able to declare others homo sacer (for instance, through moral panics). Prisons, too, are becoming camp-like, with impunity for abuses by guards and, most recently, allegations that guards provoked the Moorland uprising in an attempt to avoid job cuts. There is also a strong similarity between medieval outlawing and measures such as ASBOs and control orders, which similarly define certain individuals selected by the state as outside the rights recognised in ordinary law. In earlier historical periods, and still today in warzones, there is a tendency for colonies to be treated as states of exception – the rights which apply in the homeland don’t apply in the periphery. Agamben discusses the denigration of ‘savages’ and ‘primitives’ as a means to relegate groups of people to bare life by rendering them indistinguishable from animals, which had already been consigned to bare life. Violence by soldiers and police also expressed the logic of sovereignty. In Sherene Razack’s study of the “peacekeeping” intervention in Somalia for instance, soldiers explained and tried to excuse abuse on grounds such as that the context was hostile, that it was a chaotic Hobbesian state of nature, and that the normal expectations of everyday life had broken down. 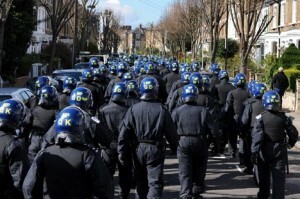 The sociology of police, conducted by authors such as Robert Reiner, shows that police also think of certain social groups – including black communities, marginal poor communities, and dissident activists – as “police property” who are outside normal protections, to be treated according to “order” rather than “law”. To an extent, ideas such as states of exception and homo sacer are also applied to issues such as the AIDS crisis in Africa, where people are treated by rich western countries as ‘not worth saving’ because of their poverty and marginality, though this kind of use is more contentious. The application of Agamben in such cases often shades over into discussions of Foucault’s work on ‘governmentality’, or everyday techniques of government power, which produce a kind of micro-sovereignty diffusing the power of decision among ‘experts’. 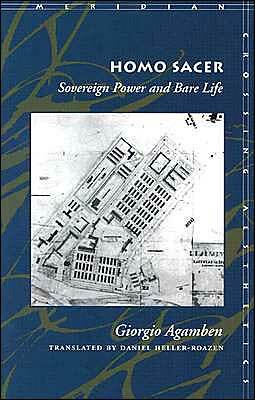 The concentration camp, and Nazi death camps such as Auschwitz in particular, are for Agamben particularly definitive or telling examples of sovereignty. 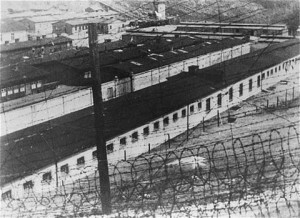 The camp (which preceded the Holocaust by a long time) was a turning-point for Agamben because it made the temporary state of exception permanent, locating it in space instead of time (unlike the declaration of a state of emergency), and local to the core area of power, within its territory but outside its law (unlike the colony or warzone). This fixing of the state of exception as a permanent feature at a site in time and space intensifies the danger to people declared homo sacer. Formerly, an outlawed person would be literally banished, becoming a wandering figure driven into exile. Now, an outlawed person is not allowed to go into exile (think for instance of the immense efforts put into catching high-profile fugitives), but rather, is put in a situation suspended between inside and outside, constantly at risk of arbitrary power. For Agamben, camps differ from other disciplinary spaces (prisons, asylums and so on) because in them, anything is possible, and the guard is absolutely sovereign. The Nazi Holocaust marks a second turning point in which the horrors of the camp are revealed in all their monstrosity. The Holocaust happened when and where it did for contingent, historical reasons, but its real causes were the creation of a particular kind of space, the ‘camp’, where people were defined as having lives not worth living, and as being vulnerable to being killed with impunity. Auschwitz is the high point of the logic of sovereignty, showing its ontological nature in its realisation: it shows where the combination of biopolitics and sovereignty leads. Auschwitz marks the point of no return which reveals the nature of sovereignty for what it really is. It thus marks the starting point for a new politics. This new politics is not just about opposing Nazis specifically, but fighting the logic of sovereignty which generated the Holocaust. According to Agamben, the camp doesn’t just exist in Nazi Germany, or even in totalitarian regimes. The camp exists, potentially at least, wherever there are states. It is built into the logic of political sovereignty. It is permanently possible in the spaces of exception which states constantly create. Whether or not people in these spaces are actually killed does not depend on any legal protection (which is either nonexistent or ineffective), but entirely on the whims or ethics of the agents of the state who are exercising its sovereign power. It exists particularly strongly in contemporary states, because the logic of sovereignty has unfolded to a certain point (Agamben seems to think of the changes in the state over time as something akin to a sapling growing into a giant, fully developed tree). Agamben famously claims that the camp is the nomos of modernity – the moment of naming, of recognition and derecognition, which creates the power (and autonomy) of the modern state. While it is peculiarly modern, the camp also marks the fulfilment of the internal development of sovereignty. Doubtless some will reject his theories for violating “Godwin’s Law”, or because they feel it is trivialising or decontextualising the camp to compare it to every instance of repression. This, I suspect, is based on a misunderstanding. For one thing, Agamben is not actually saying that we are all treated like camp inmates, simply that we’re all at risk from being treated as if we are of this status – we could be killed by the state with impunity, even if we aren’t. Also, this is not just a case of Agamben calling people he dislikes Nazis. There are clear, structural reasons for the parallels he draws. I would argue that, in contrast, the tabooing of discussion of fascistic elements of present state practices is based on a kind of irrational splitting, which wards off the subversive implications of “never again” by keeping them at a distance, pretending they “don’t apply to us”, they only apply to issues behind some imaginary boundary (in “undemocratic” societies for instance) which historically would prove to be far more porous. It is, I think, a peculiar perspectival blockage of radicalisms in countries like Britain to confine anti-fascism to opposing small neo-Nazi groups. In contrast, German antifa have long recognised the parallels between the repressive practices (and even the personnel) of the current German state and those of the Third Reich; so have radicals in Italy, Spain, Greece and Japan. It is only in countries like Britain and America, with no recent fascist past to compare to, where the existence of a continuum between fascism and the ‘deep state’ is something of a public secret, even among radicals. The second part of Robinson’s assessment of Agamben, further examining the political implications of Agamben’s work, will be published on January 21. Great piece, look forward to part two. Was Auschwitz really “local to the core area of power, within its territory but outside its law (unlike the colony or warzone)” though, given that it was in Occupied Poland and not, as commonly assumed, within the present day borders of Germany? Do you think this is of political significance in relation to states of exception? Also Britain’s lack of a recent “fascist” history shouldn’t preclude radicals from acknowledging the continuity of concentration camps and general state repression as Britain invented and pioneered the use of such camps during the Boer War and used Internment camps on a large scale against its own citizens (on the basis of religious background) in Northern Ireland as recently as the 1970’s. Indeed Internment was immediately replaced with no-jury diplock courts(with a well documented record of torture induced confessions.) that are still used today against the same community especially against political activists(surely a clear example of a continuity between camps and state repression). Lastly is Agamben suggesting that in a state-less society everyone would have bare life or qualified life? If there are no such distinctions at all, how are the rights of the entirety of the population ensured? First off, excellent article Andy. Always good to get a ‘baseline reading’ of a theorist like this that doesn’t ‘speak down’ to the audience and addresses practical implications. Agamben’s focus on Fascism occurs partly as a response to the theoretical framework of foucault and Deleuze, who, in underemphasising the camp and fascism end up coming quite close to conflating many mechanisms of everday social control with fascism (see Foucaults intro to Anti-Oedipus for a manifestation of this). He thinks they do this because they ignore ‘bare life’. The camp for Agamben is explicitly associated with the ‘modern’. Mid-century Fascism is important for Agamben compared to British imperialism because it is the confluence of Western modernist ideas, theologies, modes of production (both material and biopolitical) and sovereignty, in a way that is unique and exemplary, but that also feeds into the ‘continuum of sovereignty’ that perpetuates itself today. As I understand it Agamben places emphasis on ‘zones of indistinction’- places where the inside and outside, bios and zoe, sovereign and homo sacer become indistinct. While the camp unequivocally creates bare life WITHIN a zone of indistinction, from the birth of liberalism zones of indistinction increasingly occcur across sovereign space until they occupy them universally. Also regard the indistinguishability of human and animal life, I think A. also distinguishes between ‘bare’ and ‘animal’ life through a reading of Heidegger and Kojeve I havent the patience to deal with here (in The Open). As I understand it, animals dont have ‘bios’, but they can also be reduced to ‘bare life’. In many ways I find Agamben to be a bit melancholy. While he doesn’t place us in a position of total impotence against the sovereign, he does rule out the possibility activity outside of and against the state sphere tht D&G advocate with Nomadism- where does Agamben leave the Zapatistas or closer to home something like Climate Camp? Does it mean we have to make a monolithic change to a monolithic state (if picking apart bits merely creates more spaces of indistinction)? Thank you for this readable yet detailed introduction to a political thinker I hadn’t heard of before – and is now on my reading list. Looking forward to part 2! Johnny – Agamben treats Auschwitz as within the core zone (meaning Europe), but Poland could easily be viewed as both colony and warzone at this point. I’d guess that what Agamben means is that it’s a lot closer to home for the regime performing it than all the things going on in Africa, India and so on. As to Britain’s history, there’s a whole lot of really extreme things which have gone on in colonies and warzones, as well as the recent Ireland atrocities (don’t forget the death squads), there were torture camps where lots of people died in Kenya, entire ethnic groups outlawed in India, etc., but it doesn’t have the status in public discourse here that the fascist past has in Germany, Japan, Italy and Greece, or even of Algeria in the French public memory. The continuity is obvious however; a number of the special measures in Northern Ireland have been expanded to the whole of the UK. Many of the tactics used in Ireland were themselves imported from colonial operations in places like Malaya and Aden (Frank Kitson being an important figure here). The last point on stateless societies is covered in part 2. Ditto AB’s point on melancholy and political action. On both points, the text you’d need is The Coming Community. AB – Agamben criticises Foucault specifically for neglecting the camp, but I thought the point was that Foucault didn’t fully understand modernity (because he didn’t go down the sovereignty path which Agamben thinks stems from the camp). Actually Foucault is prone to argue that sovereignty has been destroyed by the disciplines, since sovereignty is necessarily personalised whereas disciplines are impersonal – obviously this would put him at odds with Agamben. Deleuze pops up only once in Homo Sacer and on that occasion is mobilised in a supportive way. Of course both Deleuze and Foucault would also fall foul of the “don’t mention the war” types. Foucault terms Anti-Oedipus a “guide to non-fascist living” in the intro, Deleuze and Guattari have a concept of microfascism, and as far as I can tell they’re both getting this from Reich’s Mass Psychology of Fascism, in which fascism is taken to have an underlying basis in reactive desire – indeed, for Reich, fascism is at root the release of this underlying layer, which is usually kept under a liberal veneer. There’s also a discussion of fascist group-formation in Guattari’s Molecular Revolution which focuses on the Nazis, and takes a similar line to Reich’s, i.e. 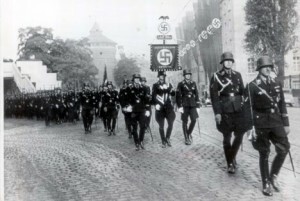 the Nazis operated by mobilising reactive desires. The account of microfascism would seem to be at odds with Agamben’s theory in that it has a bottom-up rather than a top-down structure, but they seem equally broad in terms of how much of social life they apply to. 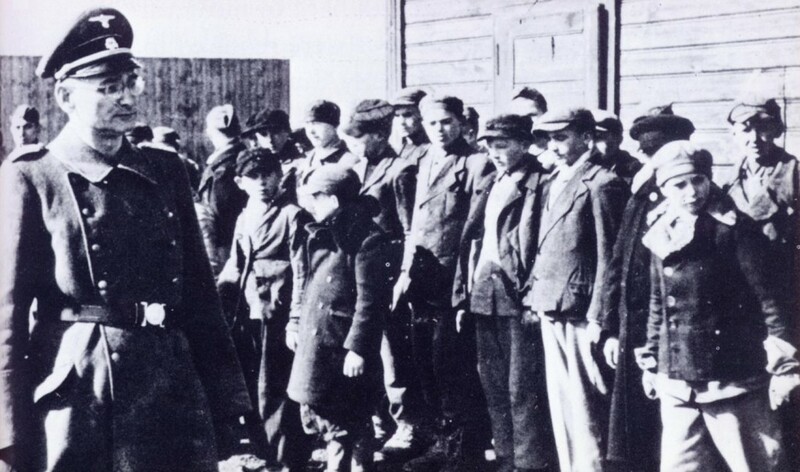 The accounts may actually be compatible, in that the Nazi movement and the Nazi state are not quite the same thing, though I wouldn’t like to say which of the two would get the blame for the camps – the agent of the camps was the SS, which was a hybrid of the SA and the state. Actually, just had another thought. Johnny, what you’re looking for regarding repressive powers creeping inwards from colonies to the core is Virilio’s theory of endocolonialism, which argues this a lot more directly than Agamben. The Event: Revolutionary Explosion of the Excluded [Shunyata] | Engage! In some ways, this seems to be rebuttal of Frankfurt School theory (Adorno, Horkheimer, Marcuse), which tended to see modern consumerism (and various forms of state-sanctioned hedonism, including movies, television, pop music, “sexual freedom,” etc) as means by which the late 20th century state kept populace in state of stupefied distraction. It may be, however, that despite claims by Marcuse in particular, modern states have failed to maintain production at levels sufficient to satisfy needs of (and ergo exercise control over) entire populace. On the contrary, beginning in mid 70s, neo-liberal, western industrial societies came under new forms of competition from statist economies (notably Japan). As western multinationals moved production offshore in an effort to compete, they created a new mass of unemployed who relied on ever diminishing welfare subsidies to survive. Those who remained in the labor force could often only cover cost of necessities and diminishing amenities through a new loan and credit based economic regime–the subprime loan (i.e. majority of loans to consumers) was rather desperate effort on part of corporations and the state to maintain a certain standard of living which the neo-liberal state promised its people. These loans were initially envisioned as a temporary measure, but after it became apparent that loan-holders could never repay loans, western financial system collapsed (2008). We are at this point in a situation similar to that in the world in 1930s–where proto-fascists (whatever their party denomination) control the levers of power. The rule of law has been suspended. Because situation has become so dire for so many, all “citizens” are suspect. Over 2,000,000 Americans are already imprisoned. One can imagine that under a Hillary Clinton or Donald Trump regime, large numbers of dissidents, illegals, subversives will be detained. It is in this context that Agamben’s theory becomes a propos–and a more plausible account of the current ongoing crisis.